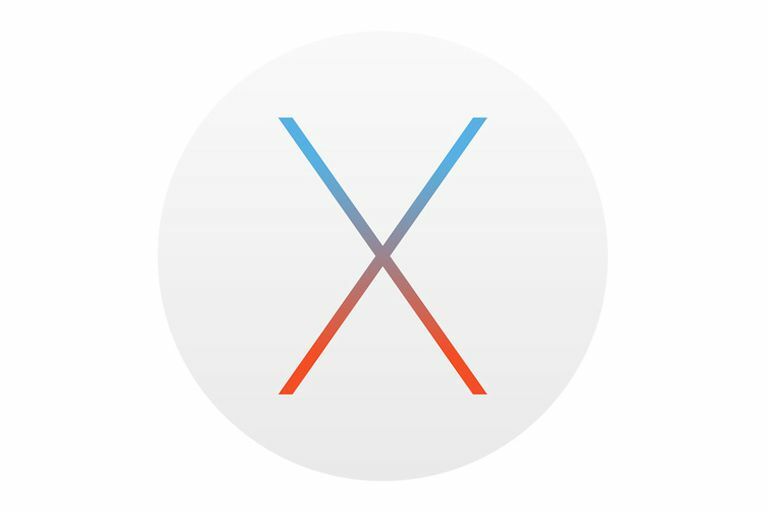 This tutorial is only intended for users running the Mac OS X operating system. Most Mac users like to have complete control over their computer's settings. Whether it be the look and feel of the desktop and dock or which applications and processes launch upon startup, understanding how to dictate OS X's behavior is a common desire. When it comes to most Mac Web browsers, the amount of customization available is seemingly limitless. This includes home page settings and what actions occur each time the browser is opened. The step-by-step tutorials below show you how to tweak these settings in each of OS X's most popular browser applications. OS X's default browser, Safari lets you choose from a number of options to specify what happens each time a new tab or window is opened. Click on Safari in the browser menu, located at the top of your screen. Safari's Preferences dialog should now be displayed, overlaying your browser window. Click on the General tab, if it is not already selected. The first item found in General Preferences is labeled New windows open with. Accompanied by a drop-down menu, this setting allows you to dictate what loads each time you open a new Safari window. The following options are available. Favorites: Displays your favorite websites, each represented by a thumbnail icon and title, as well as the browser's Favorites sidebar interface. Homepage: Loads the URL currently set as your home page (see below). Empty Page: Renders a completely blank page. Same Page: Opens a duplicate of the active web page. Tabs for Favorites: Launches an individual tab for each one of your saved Favorites. Choose tabs folder: Opens a Finder window which lets you choose a particular folder or collection of Favorites that will be opened when the Tabs for Favorites option is active. The second item, labeled New tabs open with, lets you specify the browser's behavior when a new tab is opened by choosing from one of the following options (see descriptions above for each): Favorites, Homepage, Empty Page, Same Page. The third and final item related to this tutorial is labeled Homepage, featuring an edit field where you can enter any URL that you desire. If you want to set this value to the address of the active page, click on the Set to Current Page button. In addition to defining your home destination as a specific URL or Chrome's New Tab page, Google's browser also lets you show or hide its associated toolbar button as well as automatically load the tabs and windows that were open at the end of your previous browsing session. Click on the main menu icon, denoted with three horizontal lines and located in the upper right-hand corner of the browser. When the drop-down menu appears, click on Settings. Chrome's Settings interface should now be visible in a new tab. Located near the top of the screen and shown in this example is the On startup section, containing the following options. Open the New Tab page: Chrome's New Tab page contains shortcuts and images tied to your most frequently visited sites as well as an integrated Google search bar. Continue where you left off: Restores your most recent browsing session, launching all Web pages that were open the last time you closed the application. Open a specific page or set of pages: Opens the page(s) that are currently configured as Chrome's home page (see below). Found directly under these settings is the Appearance section. Place a check mark next to the Show Home button option, if it does not already have one, by clicking on its accompanying check box once. Below this setting is the web address of Chrome's active home page. Click on the Change link, located to the right of the existing value. The Home page pop-out window should now be displayed, offering the following options. Use the New Tab page: Opens Chrome's New Tab page whenever your home page is requested. Open this page: Assigns the URL entered in the field provided as the browser's home page. The startup behavior of Firefox, configurable via the browser's preferences, offers multiple options including a session restore feature as well as the ability to utilize Bookmarks as your home page. Click on the main menu icon, located in the upper right-hand corner of the browser window and represented by three horizontal lines. When the drop-down menu appears, click on Preferences. Instead of selecting this menu option, you can also enter the following text in the browser's address bar and hit the Enter key: about:preferences. Firefox's preferences should now be visible in a separate tab. If it is not already selected, click on the General option found in the left menu pane. Find the Startup section, placed near the top of the page and providing multiple options related to home page and startup behavior. The first of these, When Firefox starts, offers a menu with the following choices. Show my home page: Loads the page defined in the Home Page section every time Firefox is launched. Show a blank page: Displays an empty page as soon as Firefox is opened. Show my windows and tabs from last time: Restores all Web pages that were active at the end of your previous browsing session. Next up is the Home Page option, which provides an editable field where you can enter one or more Web page addresses. Its value is set to Firefox's Start Page by default. Located at the bottom of the Startup section are the following three buttons, which can also modify this Home Page value. Use Current Pages: The URLs of all web pages currently open within Firefox are stored as the home page value. Use Bookmark: Lets you select one or more of your Bookmarks to save as the browser's home page(s). Restore to Default: Sets the home page to Firefox's Start Page, the default value. There are several choices available when it comes to Opera's startup behavior, including restoring your last browsing session or launching its Speed Dial interface. A new tab should now be opened, containing Opera's Preferences interface. If it is not already selected, click on Basic in the left menu pane. Located at the top of the page is the On startup section, featuring the following three options each accompanied by a radio button. Open the start page: Opens Opera's start page, which contains links to Bookmarks, news, and browsing history as well as thumbnail previews of your Speed Dial pages. Continue where I left off: This option, selected by default, causes Opera to render all pages that were active at the close of your previous session. Open a specific page or set of pages: Opens one or more pages which you define via the accompanying Set pages link.